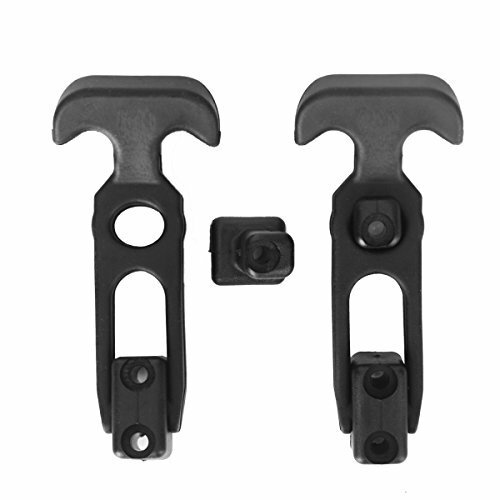 The Hardtech Flexible Rubber T-handle draw lathes mainly apply to use in automotive, trucks, tool box, cooler, golf cart, construction equipment, off-road vehicles, engineering machine hood, farm equipment, industrial machinery, and machine tools. The T-handle latch normally are installed in toolbox, cooler, engineering machine hood, farm machinery, golf cart and so on. The T-handle latches are with good elastomeric to reduce vibration but keep the preloading for the joint thing. The mount fits M5 Philips screw. If you have any questions about this product by Hardtech, contact us by completing and submitting the form below. If you are looking for a specif part number, please include it with your message.